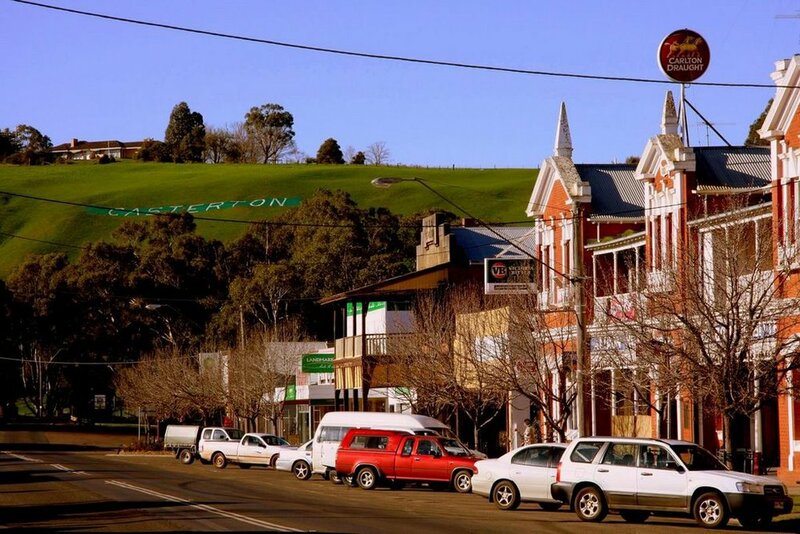 Casterton is a country town of around 2,000 people nestled in the Glenelg River valley among the undulating hills of Victoria’s southwest. An area rich in history, Casterton relies very heavily upon the wool and beef industries. Service industries and retail business also contribute to employment opportunities. The great majority of families in Casterton, and so in our school, have been in the district for several generations. These are the descendants of the Anglo-Irish settlers and workers who moved into the area from the 1840’s on. At Sacred Heart about half of our families are primary producers or rely directly upon landholders for their employment. A significant number belong to the service industries, a lesser number are involved in secondary and retail business, with a small number being in professional positions. It’s geographical position has given Casterton a strong sense of identity and sees the community strive to create and maintain excellent public facilities. Casterton people aspire to excellence in their endeavors in all fields and the community is noted for its energy and public spirit. Sacred Heart School services a widespread community, who are heavily reliant upon funded bus services. Approximate 60% of our children travel to school on the country buses with some travelling up to 80 kms per day. Sacred Heart School has built a reputation for care and commitment in the local community. Within a supportive and creative environment, with Christ as its centre, Sacred Heart School strives to engender in its students a sense of self worth and the ability and desire to live a vital role in the Church and society. In applying for enrolment, new families are invited to state why they have chosen Sacred Heart. In almost all cases Catholic and non-Catholic families refer to their search for Christian values and teachings and their confidence in Sacred Heart supporting the family.